Thanks to salpal for her post that got me here. She just bought her first rigid heddle and I remembered my poor, neglected loom. I mentioned I was going to get her out and finish the scarf I have warped. Ha! I ended up going down a different weaving rabbit hole. As I was pulling out my hardware to put my loom stand together, I found a bag of weaving. Yes, a random bag of woven projects. This year for my birthday, my husband sent me away to Homestead Heritage. I’m lucky enough to live within driving distance and have spent a lot of time there. I’ve taken basket weaving and rigid heddle classes and I swear I’m going to do cheese making and pottery. Sometime. I cheated and spent the first day doing their weaving extravaganza. They prewarp the looms and you just come in and weave the day away. I completed a cotton dish towel and a bamboo scarf. When I say completed, I mean I wove it, they cut it off, and then I forgot they existed. Oops. It was a nice couple of days away. While I enjoyed using two different types of looms, I learned I don’t want to do all the prep work to weave on them. I’ll definitely be going back for the next extravaganza and keep plugging away with my rigid heddle at home. And a Maggie Mae that needed to jump in the picture. No idea where Hannibal was. What ever you celebrate this time of year, hope it is what you want and need. 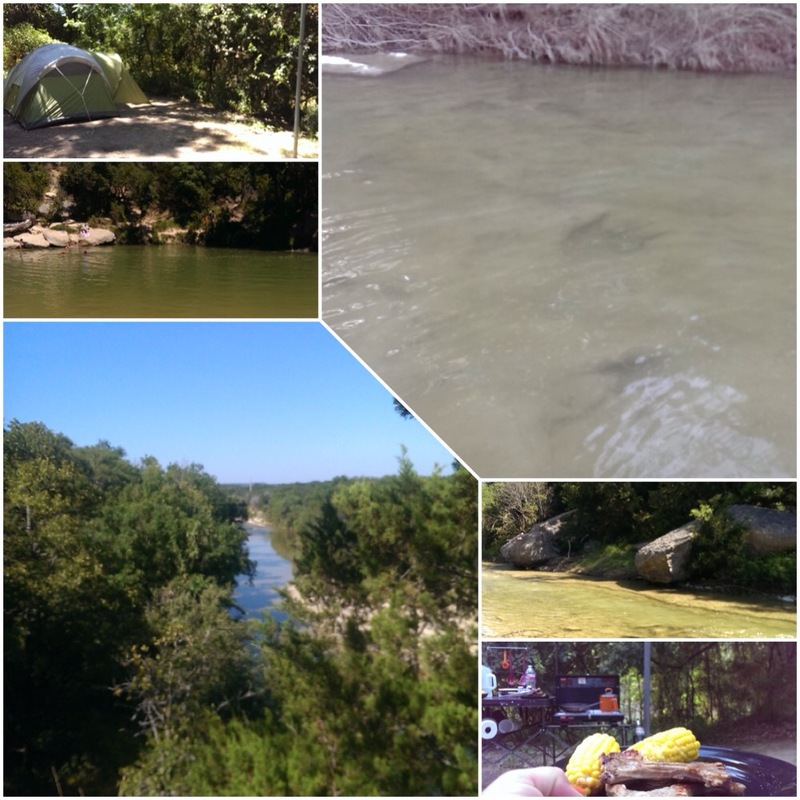 Dinosaur Valley State Park was the destination for our experimental camping trip. It was close enough that if things went wrong, we could be home in short order. I may be crazy, but I’m not stupid. I don’t have a lot of pictures because we were doing ALL the things. 27 miles of walking/ hiking, not including the time spent in the water walking to the Bluehole and dinosaur tracks. We were a half mile from the bathrooms. Our campsite was 1/3 mile from the parking area and park store. It was hot. Hot! So we spent a bunch of time actually in the water. Our hiking was done before 10 a.m. It actually went so well that we’ll be doing another trip next month. We spent Saturday exploring Fort Worth, celebrating SSCLD’s birthday. He hasn’t really been up to doing much besides working, Jiu Jitsu, and working out, so I kidnapped him. Literally. I picked out his clothes, told him to shower and dress, and get in the car. We all know how I hate driving in traffic, and Saturdays around touristy stuff tested my limits. 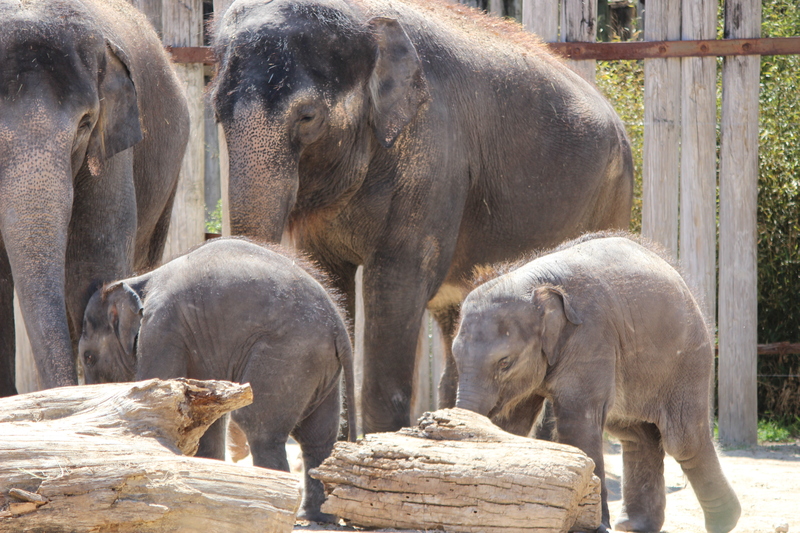 Of course we ended up at the zoo to see Belle and Bowie, the baby elephants. Texas found funnel cake and I found out that even without seeing everything there, you can get in about 5 miles of walking. Next we stopped at the “must see” Log Cabin Village. Umm. Yeah. Interesting glimpses into Texas history, but it took about 20 minutes to see all of the cabins. This is where all the plans started to get derailed. We got stuck in traffic with a minor (MINOR!) car accident and two fire trucks and an ambulance coming towards me in my lane. We tried to stop at the Fort Worth Water Gardens, but there was this thing called inner-city parking. Able to park six, long city blocks away and walk there did not seem so important after about 4 hours of traipsing around the zoo. I just needed coffee and to get away from people. I’ll share a secret. Texas attracts weird people. Weird with a capital W. It is always a gamble going out in public with him. Saturday was no exception. There was the X-Files guy, the random facts about hippos guy (imagine that awkward Geico commercial times 50), and the lady who just pulled up to our table at Starbucks and would not go away.